Didn’t it feel like 2018 just began? And yet here we are mid-February, with Valentine’s Day and Chinese New Year just around the corner. While it may seem like our lives will return to being mundane after the festivities, we’ve got some interesting food and events lined up for you for the rest of February. From 14 February 2018 to 25 February 2018, celebrate Chinese New Year with Gardens By The Bay! Spring Surprise 2018 will feature fun activities and attractions perfect for the whole family. 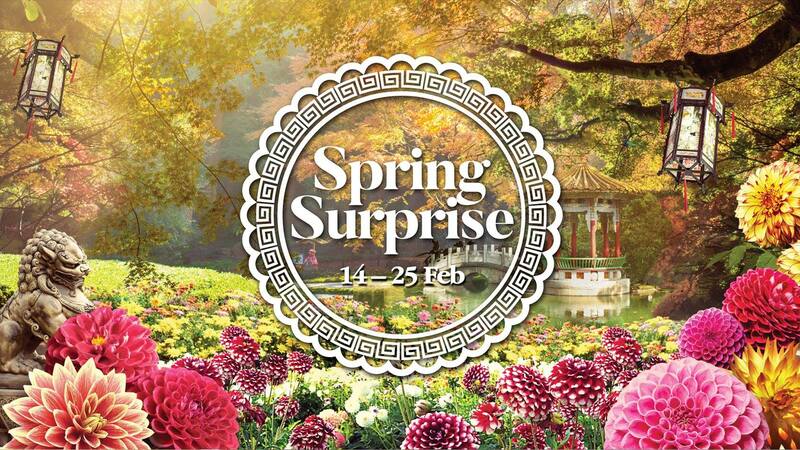 As part of Spring Surprise, there will be multiple events held from 14 to 25 February 2018. On 14 February, bring your loved ones to the SuperTree Grove where the Singapore Chinese Orchestra will be performing romantic tunes as part of the “Music Oasis: Spring Romance at the Gardens” concert. For one night only on 17 February, there will be dance performances at the SuperTree Grove – from the impressive Lion Dance performance, to belly dancers and intriguing contortionists. Keep a look out for the roving stilt-walkers for a wonderful photo opportunity! 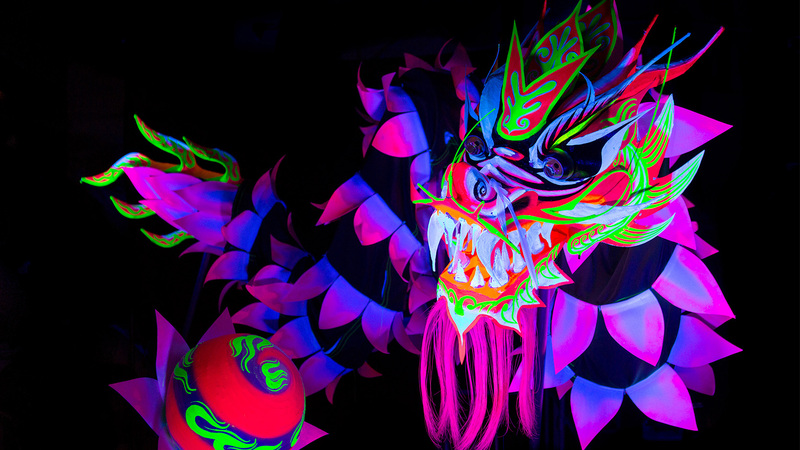 There will also be UV light performances that you shouldn’t miss, such as the UV Lotus Dragon and UV Northern Lion dances that are making their debut appearance in Singapore. If you’re a dog owner, 18 February will be a great day for you to bring your puppers and doggos out to Gardens By The Bay. 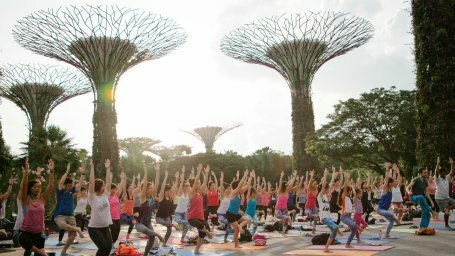 In the morning, take part in a yoga session held in collaboration with ActiveSG and there will also be a parkour and obstacle course and playground for canines in the evening. That’s not all, end off your night with a movie screening of “A Dog’s Purpose”! Admission is free, so gather your friends and family and head down to Gardens By The Bay for a festive good time! This Chinese New Year, the Istana is open to the public! On 17 February 2018, there will be guided walks showcasing the flora, fauna and biodiversity living in the compounds of one of Singapore’s most iconic buildings. The guided walks start at 10am all the way to 4pm and will be conducted hourly. 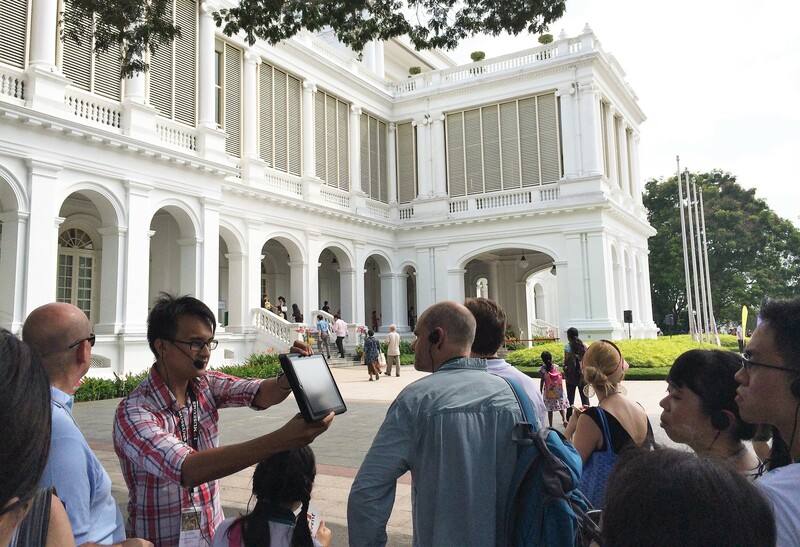 There will be signs on the Istana grounds indicating where you can register for the guided walks. The guided walks will be $2 for each child aged 3 and above, $4 for PRs and Singaporeans above 13, and $10 for each foreigner aged 13 and above. Payment will be made on the spot during the registration. Do you have old clothes that you need to get rid of? You have a couple of options. Give everything to the Salvation Army, hand them down to another person, or sell them and get some cash! The Luggage Market is back on 18 February 2018 at The Adelphi, and subsequently every Sunday until the end of the year. 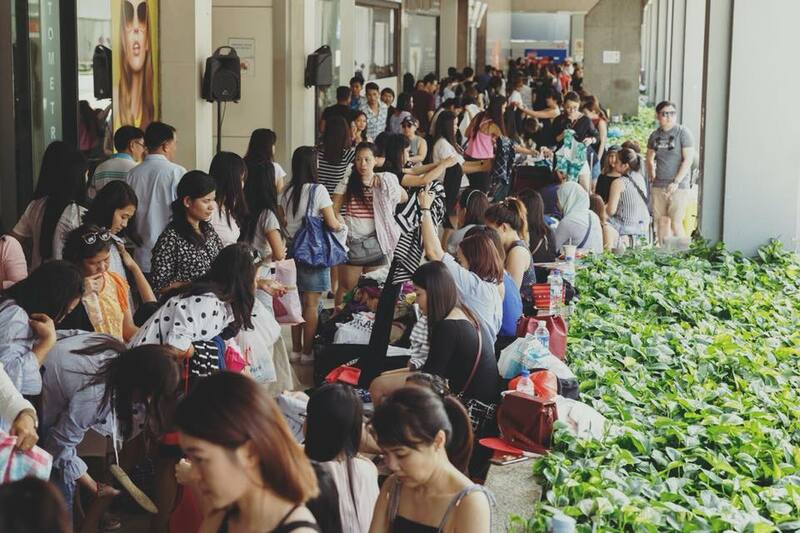 If you’re wondering what The Luggage Market is about, it’s a flea market where there will be over 45 booths selling preloved goods and clothing out of luggages. Hence the name. Who knows what you can find at this luggage market? If you’re looking to apply for a booth, you may do so here. 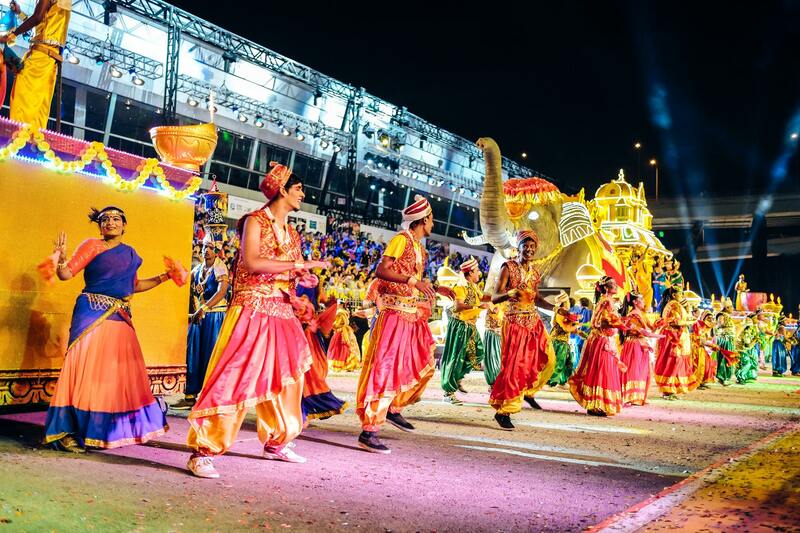 The Chingay Parade is back from 23 to 24 February 2018! This year’s parade returns bigger and grander than before with a multicultural extravaganza – featuring multi-ethnic cultural performances by local talents as well as international acts, elaborately decorated floats, dazzling and colourful costumes, props and stunning light, laser and fireworks displays. That’s not all, there will also be a street party at the end of the parade! Tickets range from $40 to $50. PAssion Card holders get to enjoy 20% off their ticket purchase when they quote the first 4 digits on the PAssion Card or present a valid PAssion Card during purchase while MasterCard holders enjoy a 15% discount on their ticket purchase. If you’re a fan of Broadway musicals, you’d be glad to know that EVITA is coming to Marina Bay Sands from 23 February to 18 March 2018. 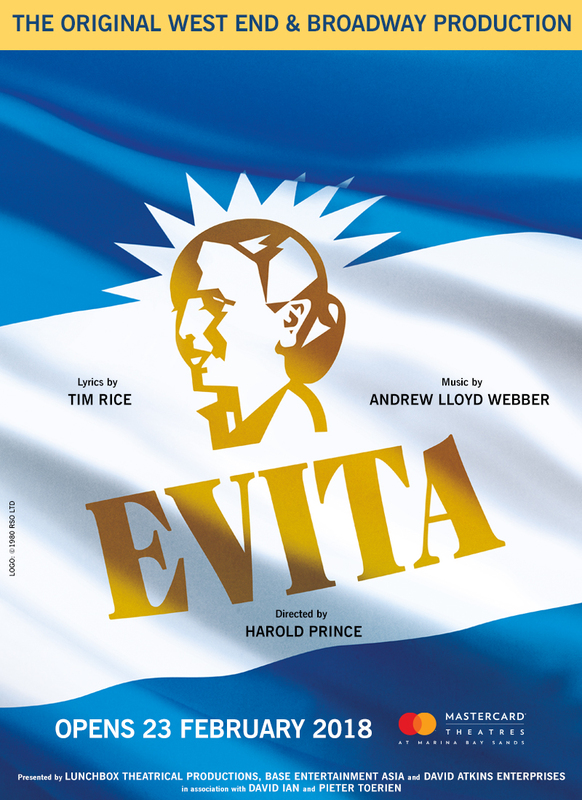 The award-winning Broadway and West End production of Tim Rice and Andrew Lloyd-Webber’s iconic musical, tells the story of Eva Peron, the wife of former Argentine dictator Juan Peron. Watch as the musical explores her life, from her humble beginnings to the extraordinary wealth, status, and power. Featuring some of the most beloved songs in theatre, such as “Don’t Cry For Me Argentina”, “On This Night Of A Thousand Stars” and “Another Suitcase In Another Hall”. Ticket price go from $55 to $740 and can be purchased here. Don’t miss this Broadway classic! Russell Peters is bringing his Deported World Tour to Singapore for one night only on 24 February 2018 at the Singapore Indoor Stadium! He last performed in Asia in 2015 and 2016, where he sold out the venues. Following his touring hiatus, he has been building up the new act across clubs in the United States in the past year. This highly anticipated world tour will feature new material as well as Russell Peters’ signature audience interactions. What’s more, one of David Letterman’s favourite stand-up comics, comedian Jake Johannsen will be touring together with Russell Peters. Ticket prices range from $108 to $228 and can be purchased here. Don’t miss out on this one-night only comedy sensation or somebody gonna get the hurt real bad! 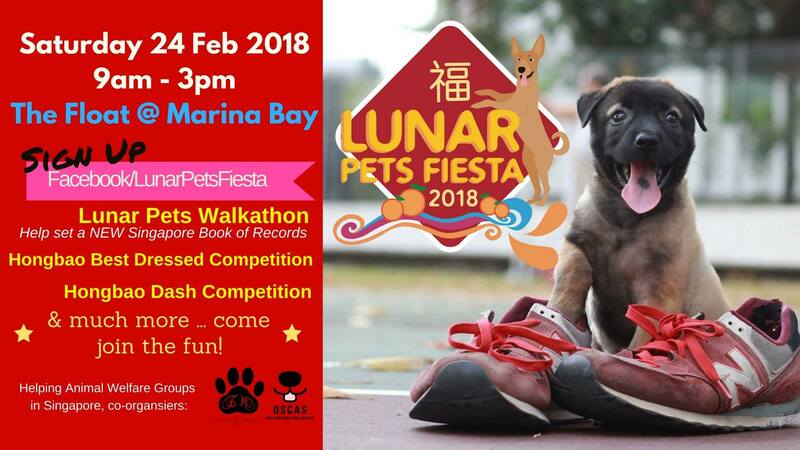 Come 24 February 2018, The Float @ Marina Bay will host the Lunar Pets Fiesta. The Fiesta will feature a Lunar Pet Walkathon in the morning, a marketplace selling food, toys and accessories for pets, and even free health checks and free micro-chipping for dogs by the Agri-Food & Veterinary Authority Of Singapore (AVA). There will also be a Hongbao Best Dressed competition, where prizes will be given to the top 5 winners. That’s not all, there’s also the Hongbao Dash which is a race for your puppers and doggos. This Chinese New Year, bring your pets out to The Float @ Marina Bay for a fun day out! Singapore’s most iconic Drag Queen, KUMAR is back! This time for his Golden Jubilee! 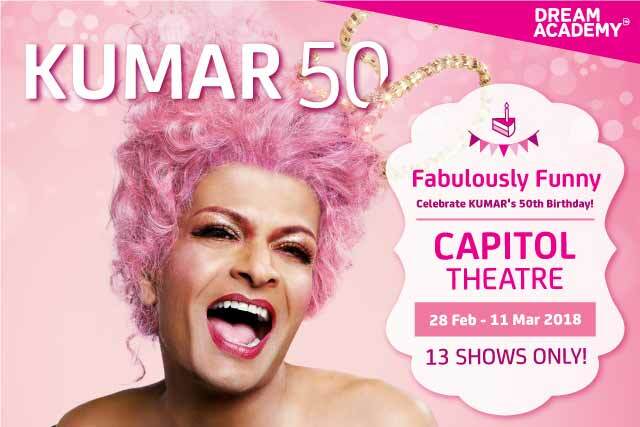 Yes, our favourite Drag Queen is turning 50 and he’s celebrating it with everyone with his Kumar50 show at the Capitol Theatre! From 28 February to 11 March 2018, Kumar will be performing at the Capitol Theatre for 13 shows only! Watch as Kumar regales us with tales from his birth, growing up, and his career doing standup. Nothing is off the table as he touches on every topic that tickles our funny bone. No drag performance is complete without lip-syncing. Be prepared for a hilariously entertaining Golden Jubilee as Kumar is joined by his fabulous showgirls, shaking booties and lip-syncing to legends such as Whitney Houston! Tickets for the Kumar50 are available on Hapz on a name your own price basis, so quote your own price and purchase your tickets here! *Discounted prices available only on Hapz. Ever since Mr Softee decided to mysteriously disappear from Singapore, there has been a void in our bellies, where soft serves used to be. Sure, Mcdonald’s ice creams were a substitute for a while but we’re craving for more exciting flavours. Recently opened at Haji Lane, this Muslim-owned, Halal soft serve ice cream shop has been making waves. 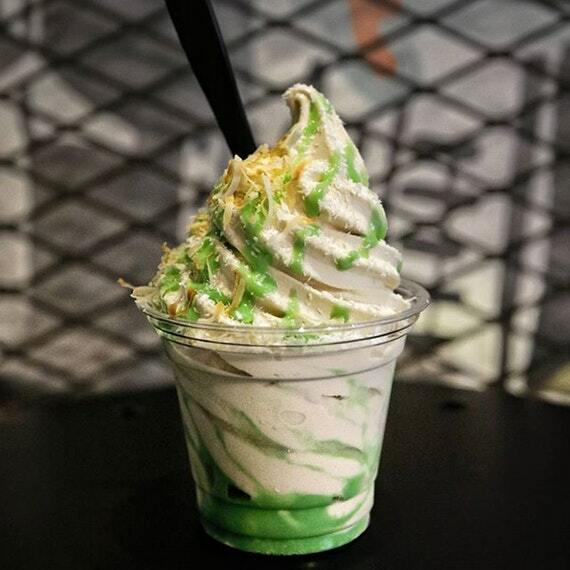 A local favourite and definite must-try is their Ondeh Ondeh Softserve ($4.50 for regular, $6 for large), a concoction that uses Gula Melaka soft serve ice cream topped with desiccated coconut, toasted coconut flakes, and drizzled with pandan fudge sauce. The soft serve might get a little jelak halfway through, just mix the pandan fudge well and it’ll be fine. Other interesting flavours include the Nutella Brownies Cheesecake Softserve ($4.50 for regular, $6 for large) and the Apple Crumble Softserve ($4.50 for regular, $6 for large). Don’t say we bojio, but this soft serve is legit. Located in the Arab Street precinct, Atap Bar will take you back to the old days. Its cosy interior, patterned floors and swing chairs will remind you of your grandma’s kampung. This family-friendly establishment serves up non-alcoholic, localised bespoke mocktails. With drinks inspired by Malay folklore and traditional songs like “Rasa Sayang”, there’s bound to be a drink for everyone here. 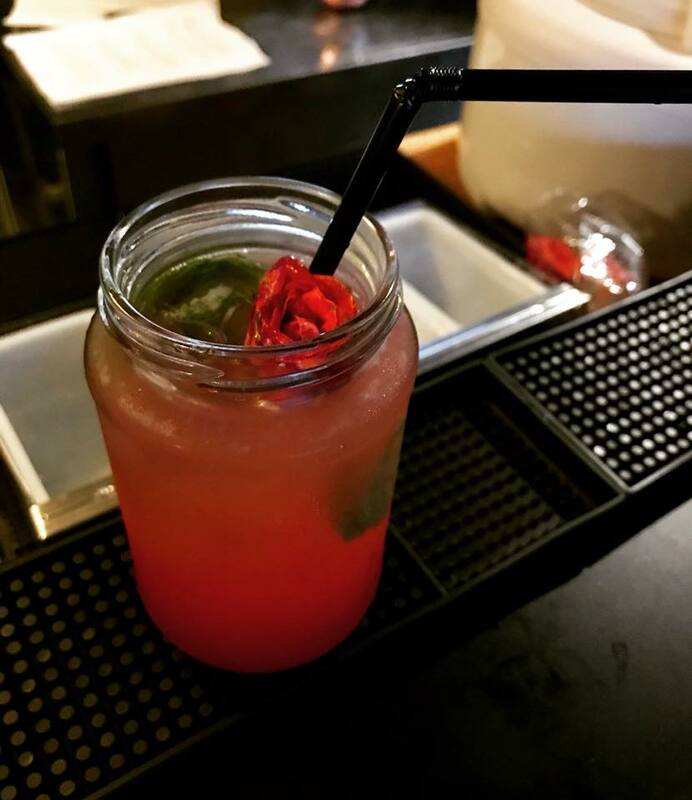 The “Rasa Sayang” ($14) is a blend of rose infused water mixed with strawberry, mint leaves and more! Just like the folk song itself, this drink captures much of the Malay character. 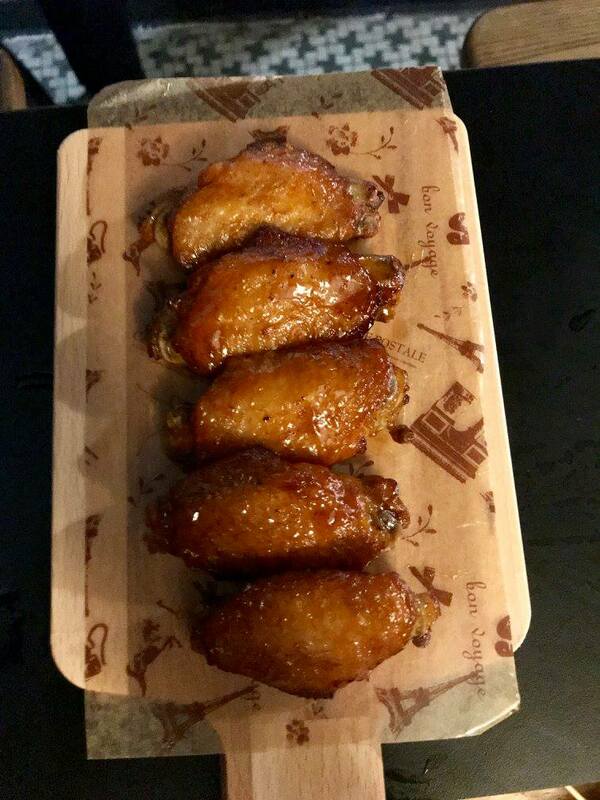 If you’re feeling a little hungry, they serve up bar snacks such as Honey Wings ($10). Oh and did you know they serve Keropok Lekor ($8) as well? Talk about the perfect snack. 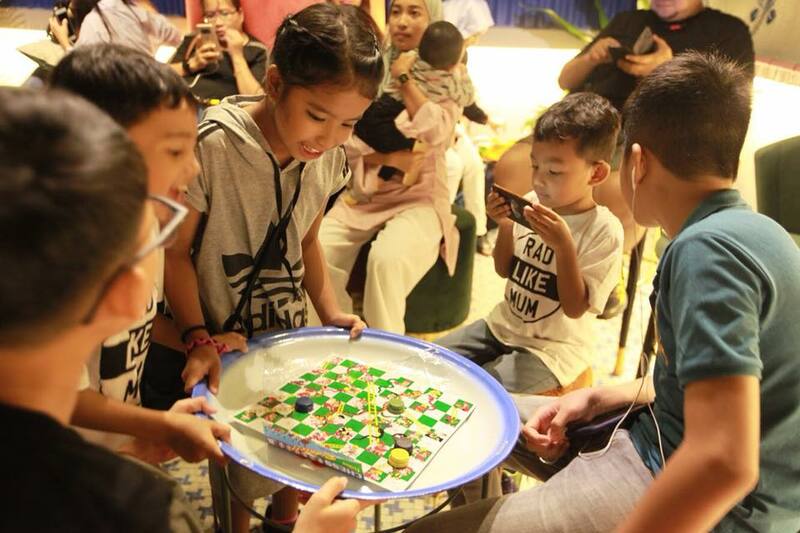 If that isn’t already convincing enough, Atap Bar also provides games you used to play back in primary school. From old maid to five stones, relieve your childhood memories and brag about how good you were at these games back then. With a lot of thought put into the concept for this modern kampong bar – it’s definitely one of Singapore’s hidden gems you don’t want to miss. This month may be short, but there certainly isn’t any shortage of events and food to keep us occupied.